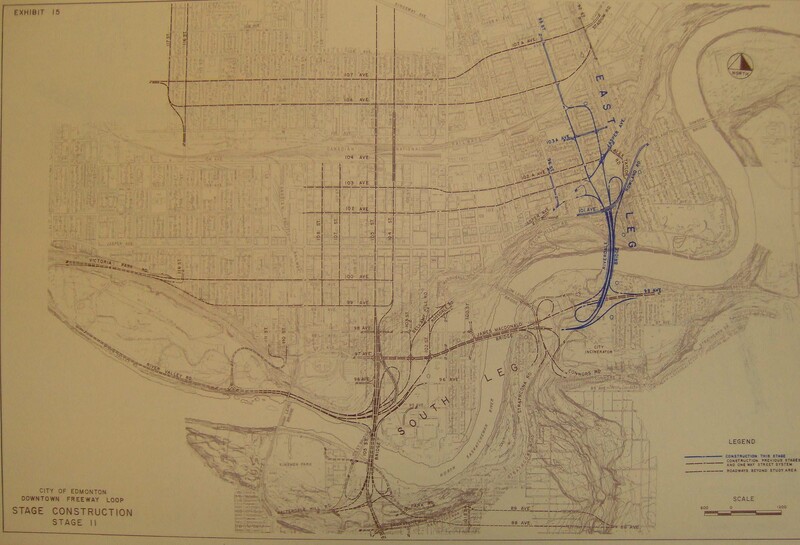 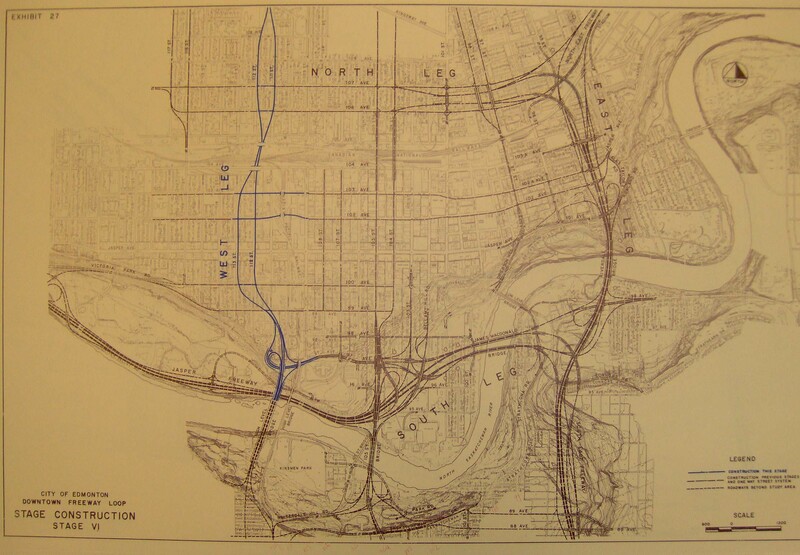 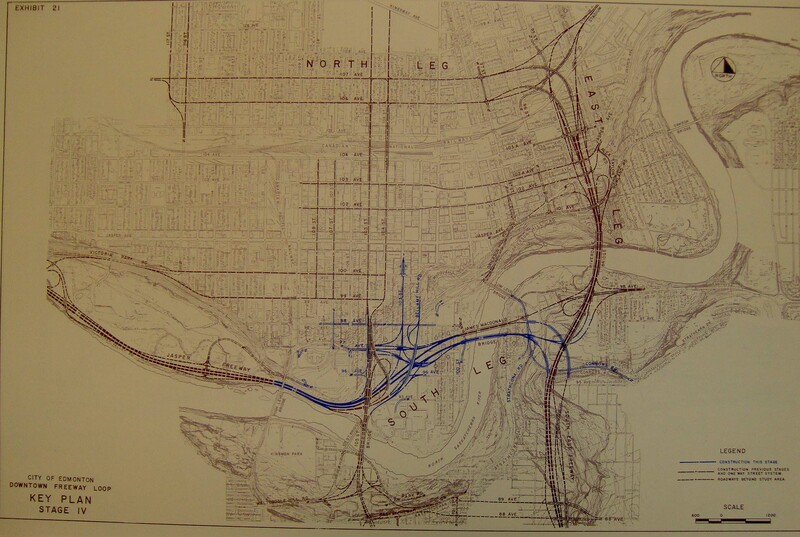 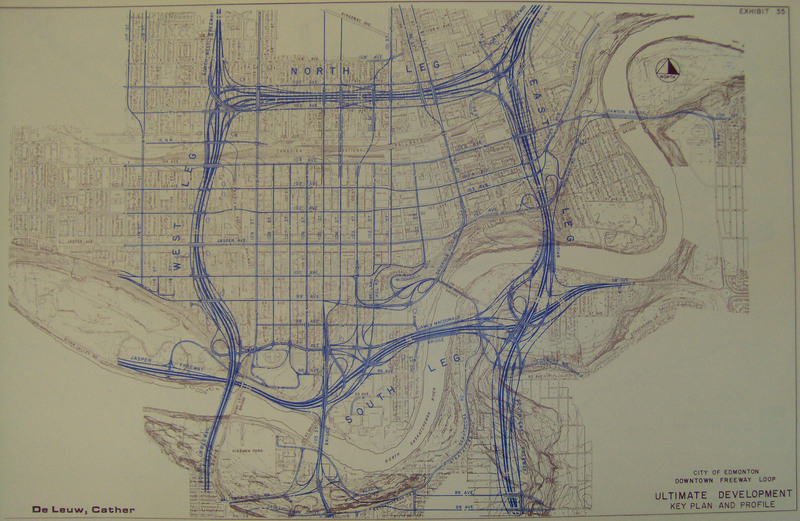 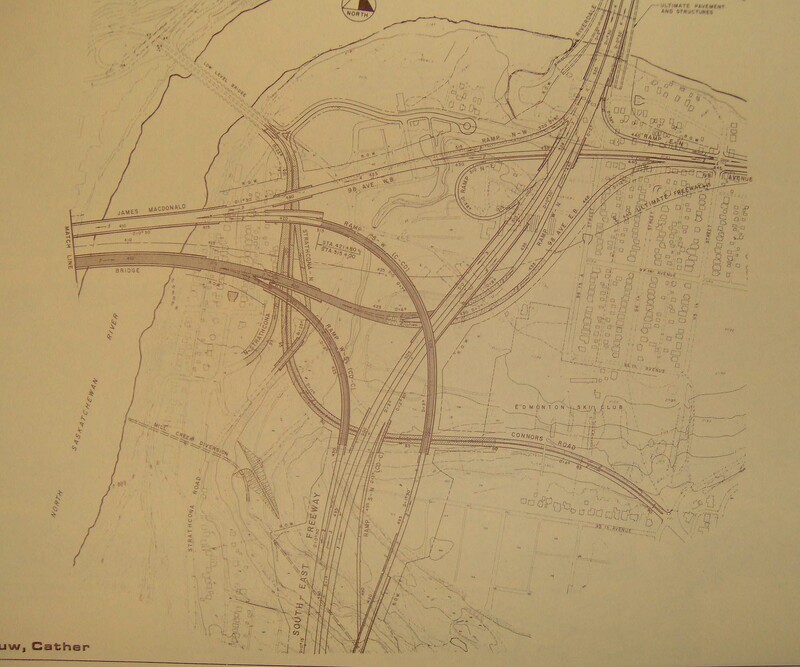 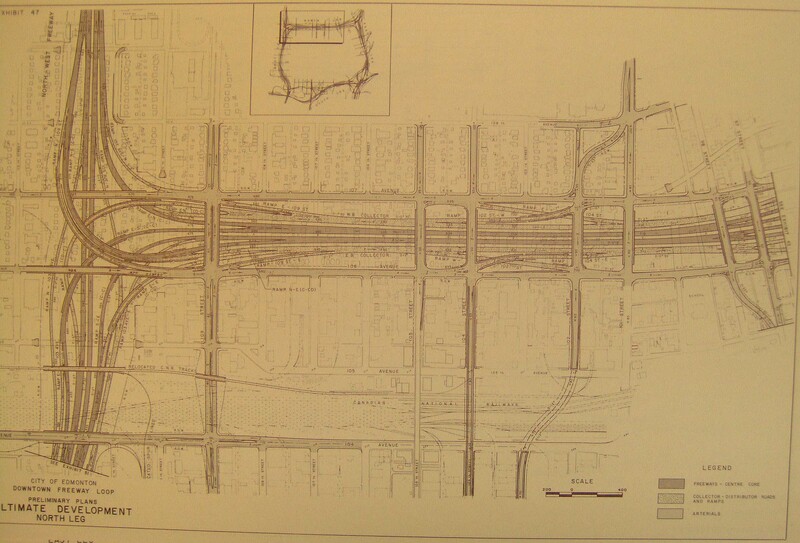 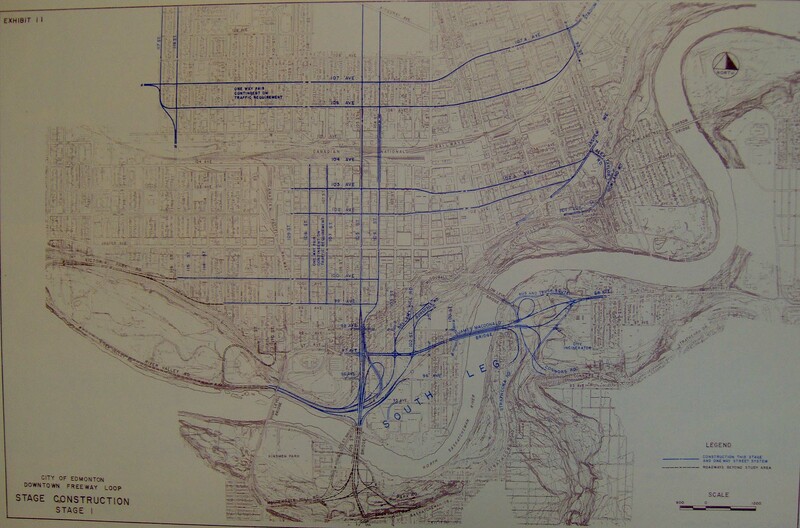 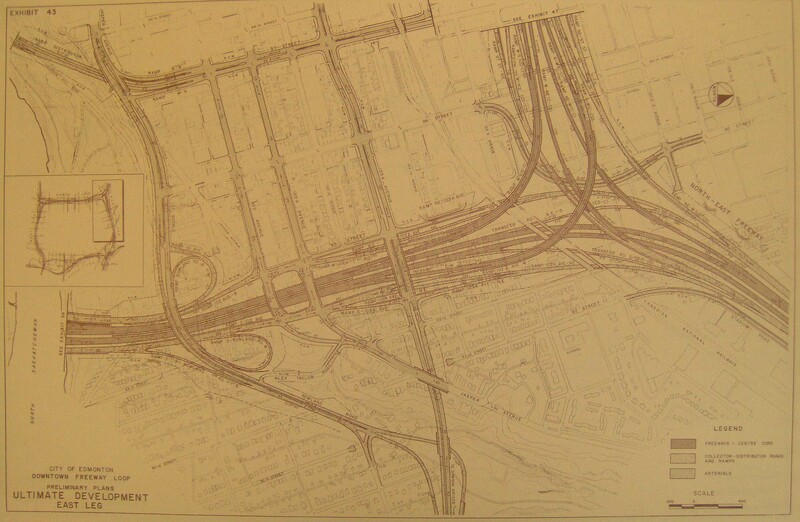 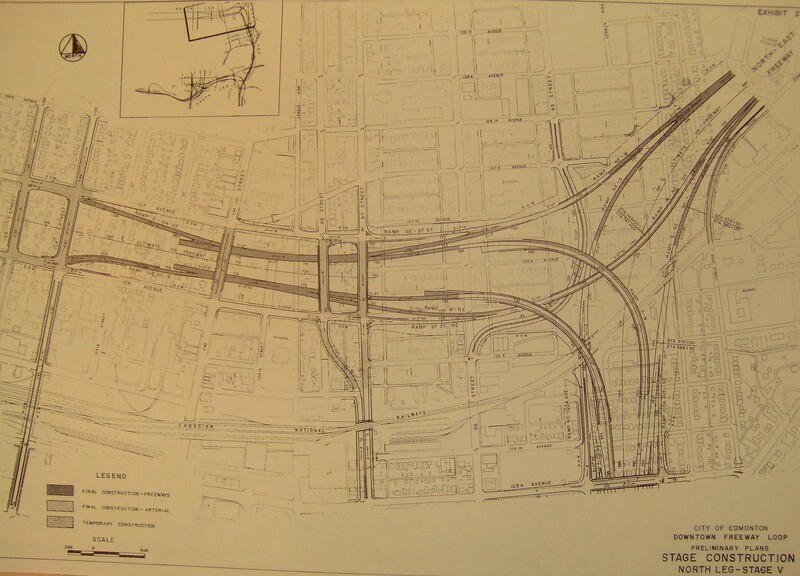 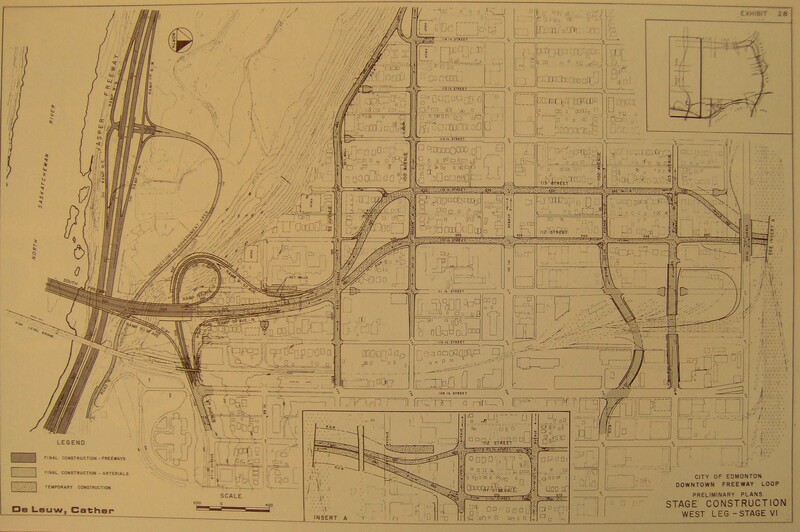 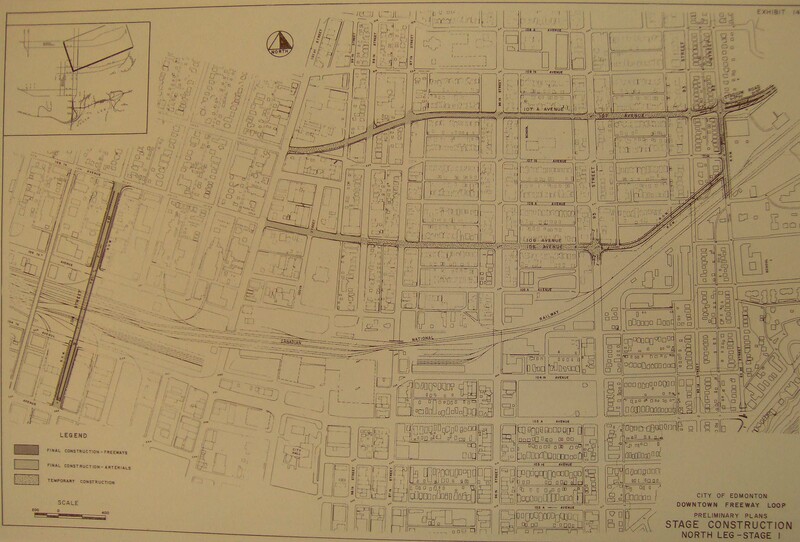 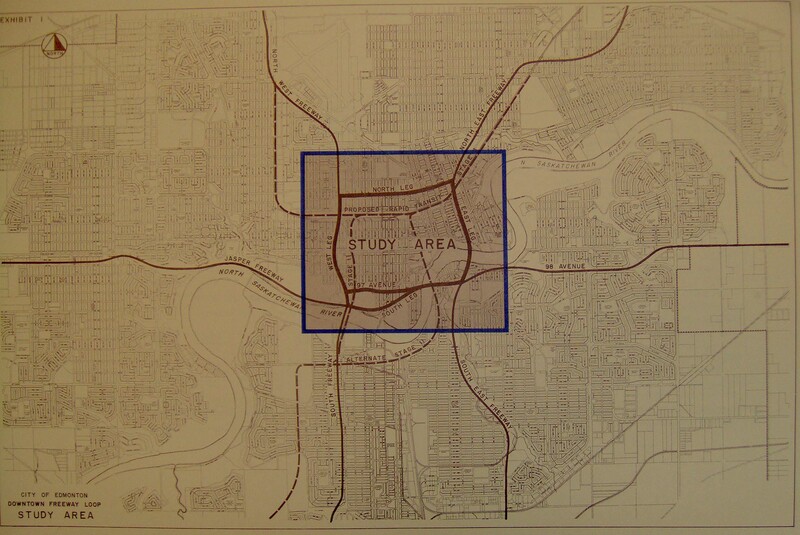 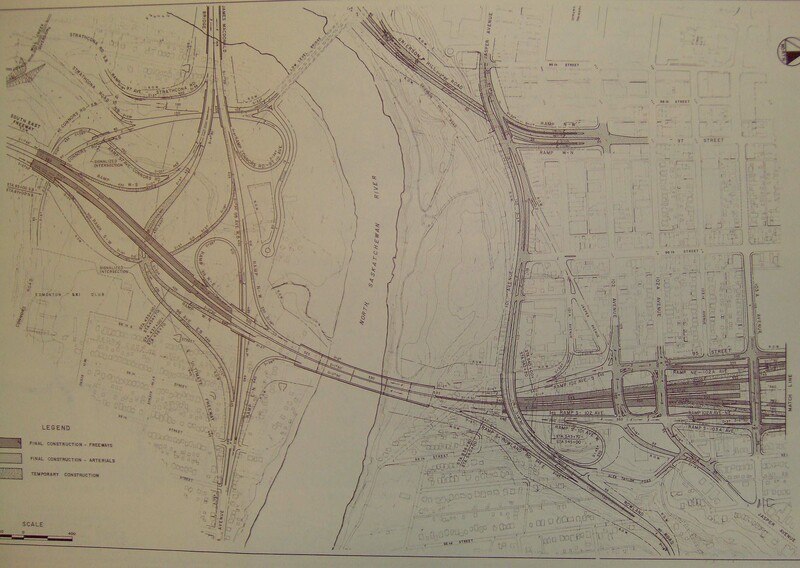 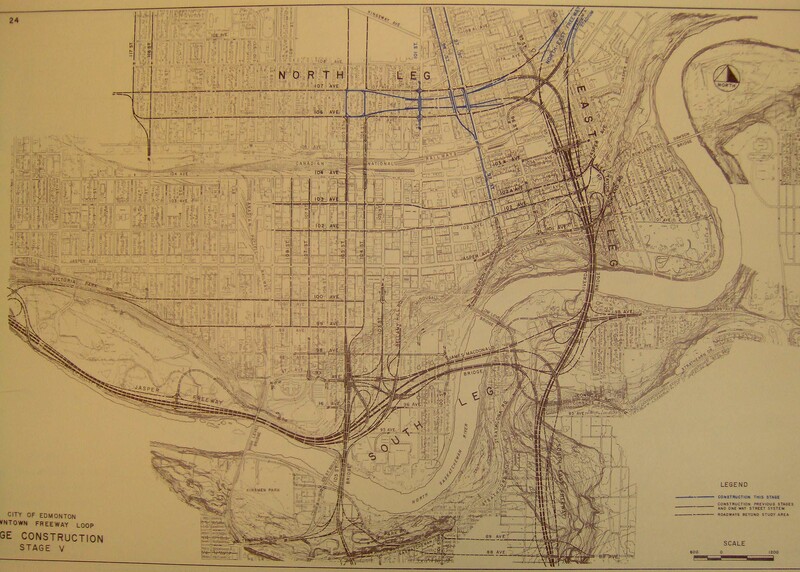 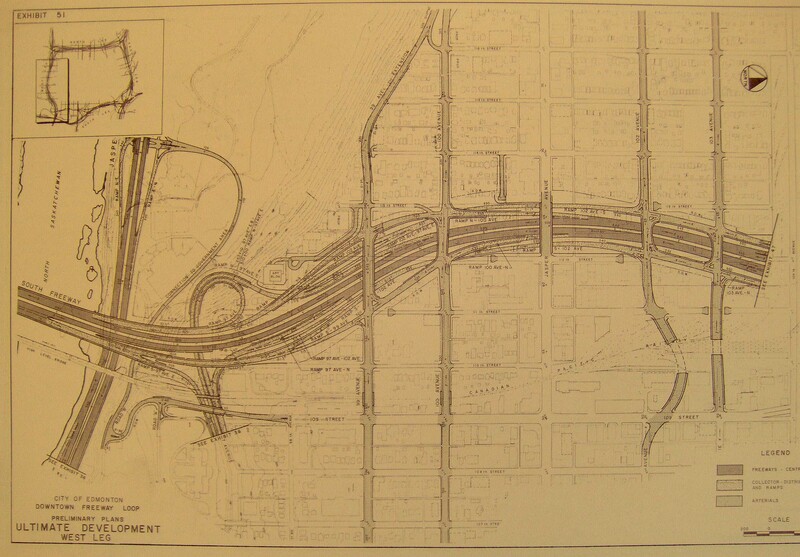 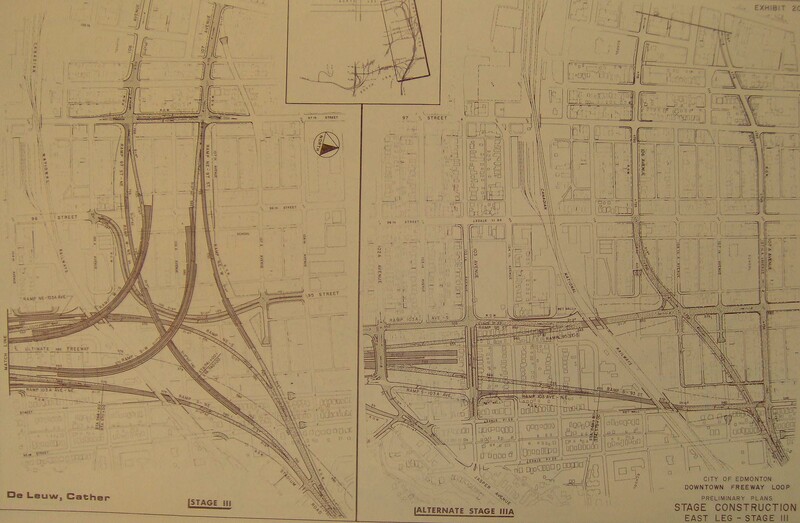 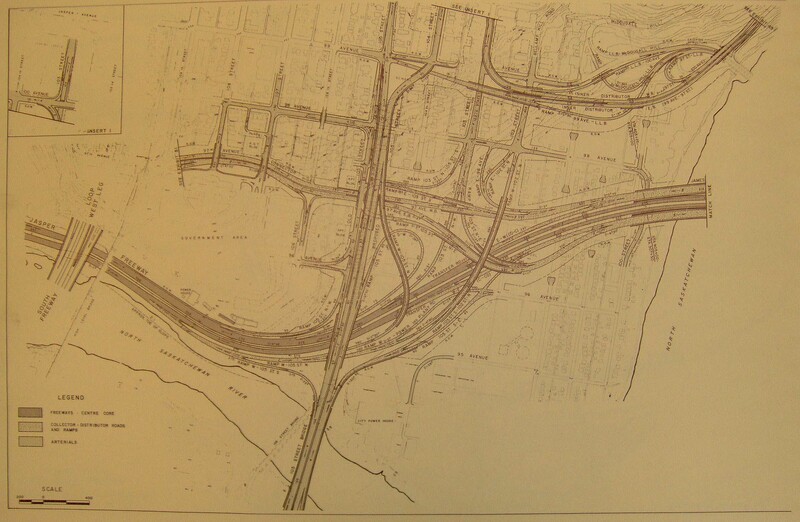 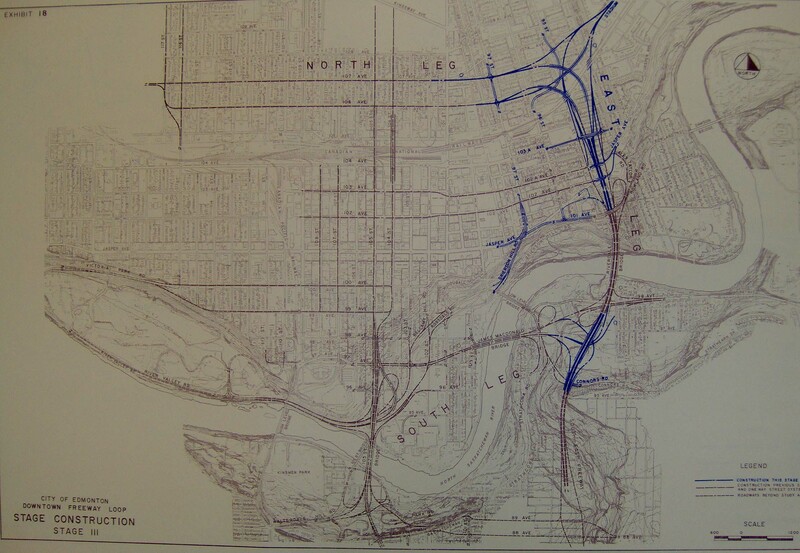 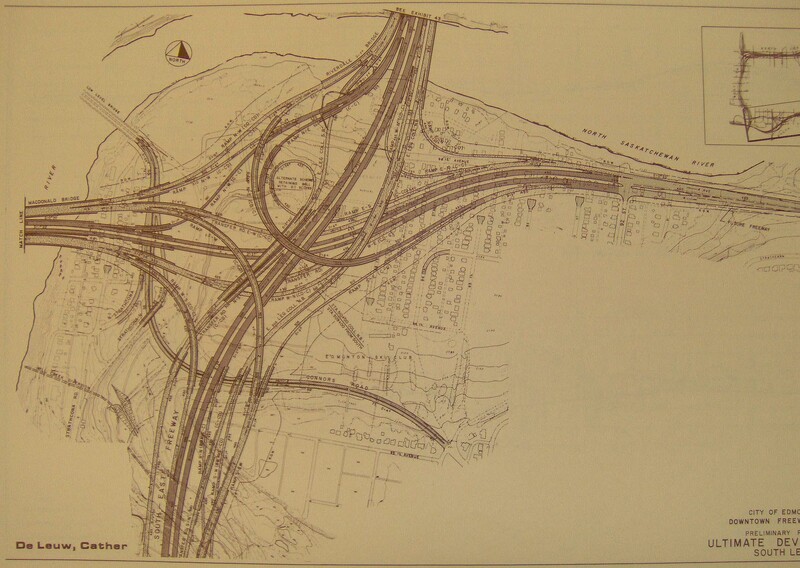 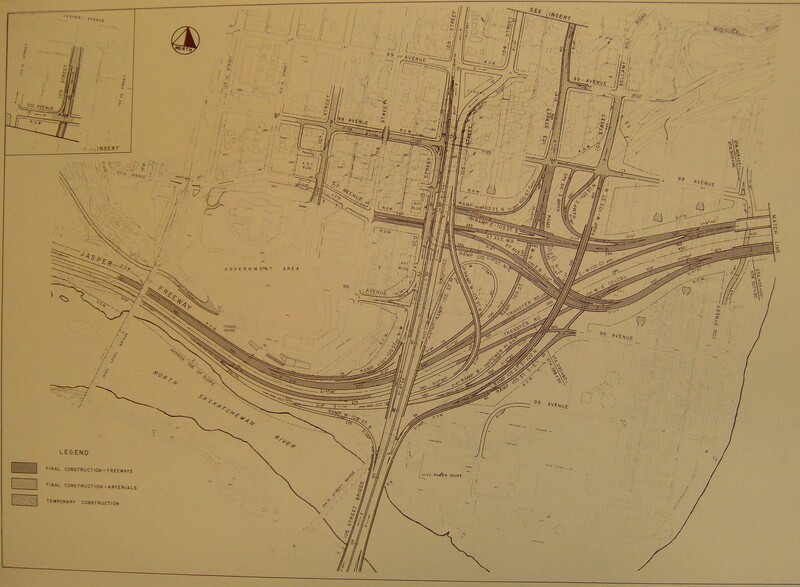 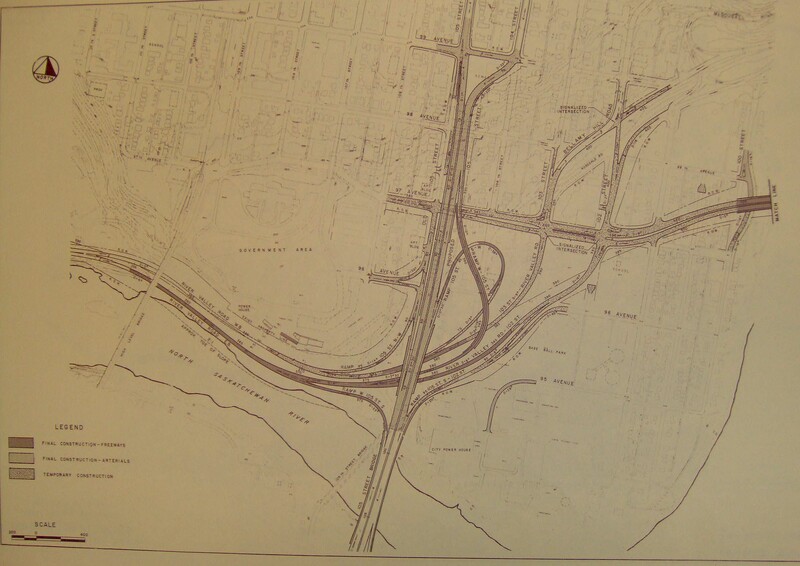 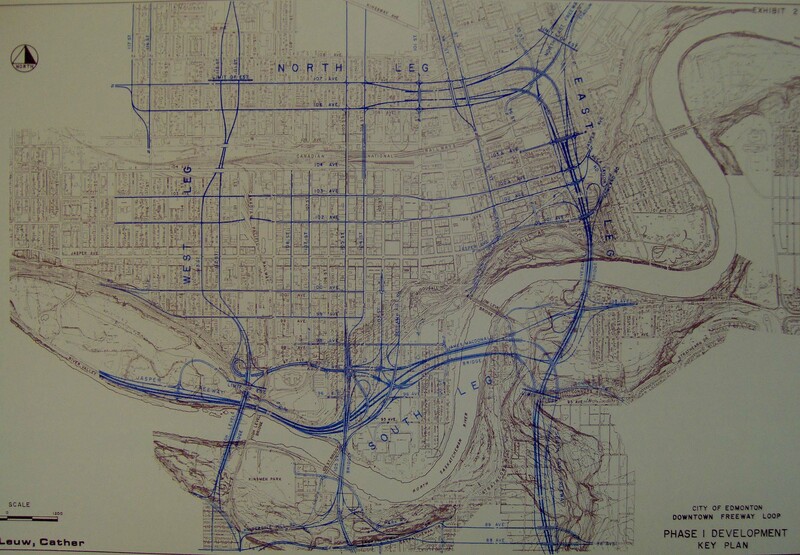 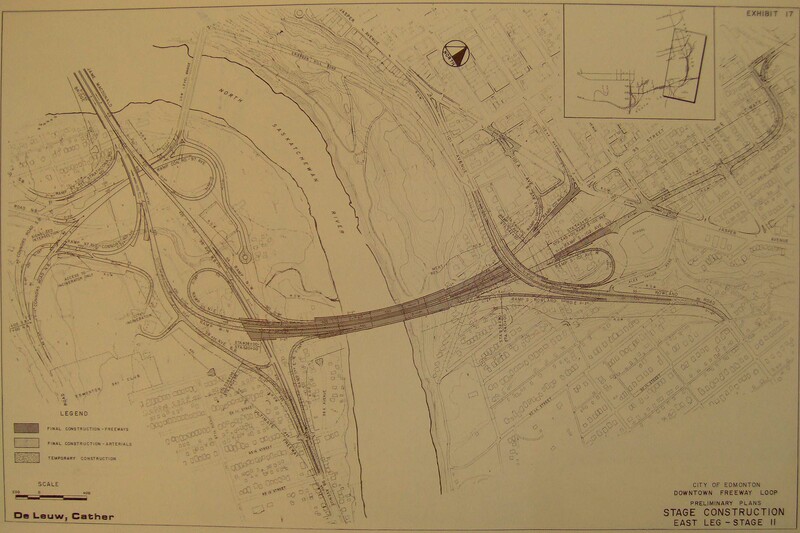 Below are the functional plan drawings for the Downtown Freeway Loop from the Metropolitan Edmonton Transportation Study (1969). 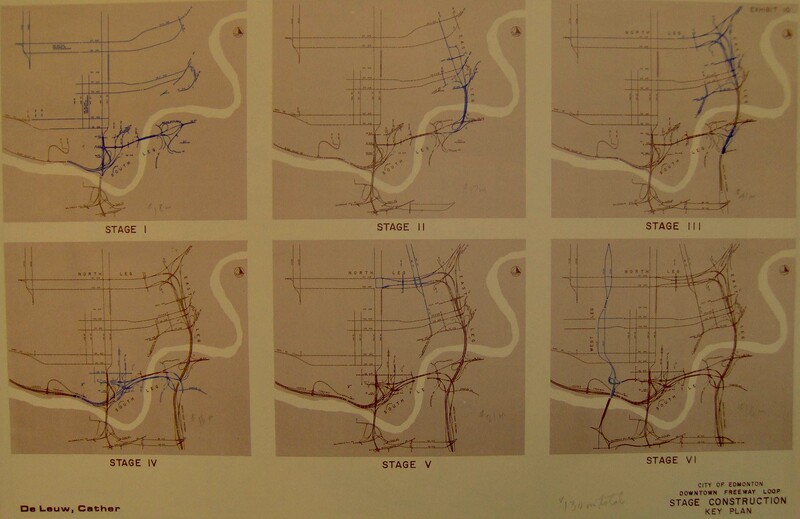 The drawings include the ultimate plan and the Stage 1 plan which itself is divide into 6 sub-stages labeled I through VI. 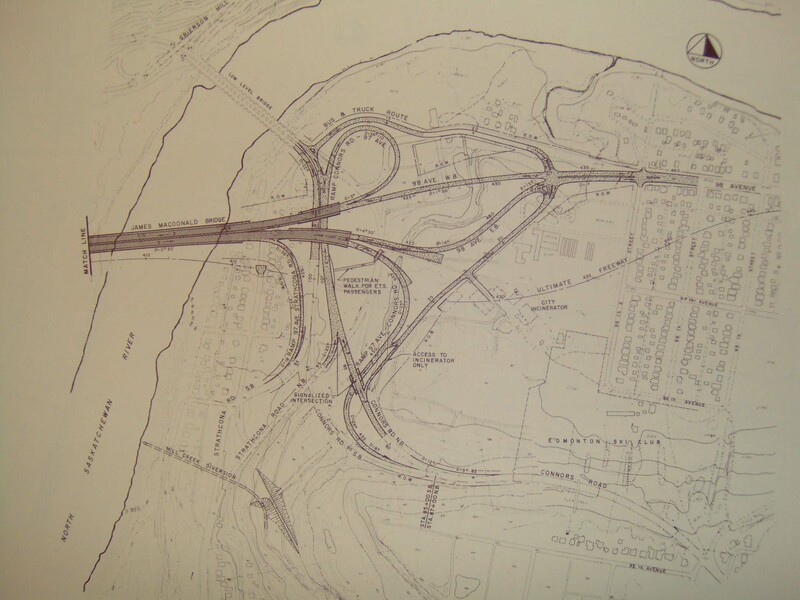 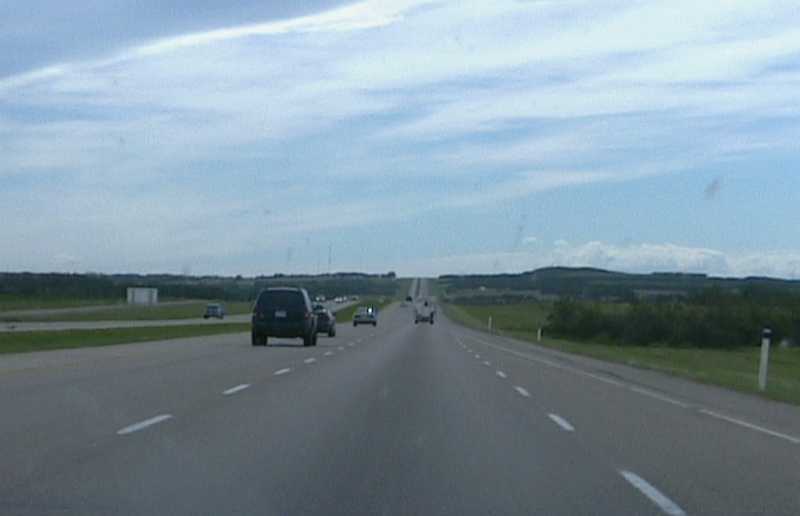 The only part of these plans that was ever constructed is the James MacDonald bridge and east interchange complex from stage 1-I.